When you hear about VPN, two of the big names that can be associated with it are Torguard VPN and Private Internet Access or PIA. They lead the industry as the hottest VPN choices, but they also have different features that make each one stand out. If you are in doubt which of these two should take the crown as the best VPN product, we will check each of the aspects to help you decide. Although they have a similar ranking, we believe that they have unique functionality that makes them an excellent option. So, don’t miss this comparison before you jump into your buying decision. Private Internet Access is a VPN provider that originated in the USA. On the other hand, the Torguard is among the distinguished VPN services that came from the West Indies and was anonymous before it became a full-service VPN. Private Internet Access offers strong encryption to give users optimum privacy and security against malware. It also has multiple VPN gateways that make it helpful when you want to access geo-restricted content. It can also handle peer-to-peer traffic brought by various applications. Torguard, on the other hand, it also has an encryption feature just like what the PIA has. Its advanced features are what makes it distinct. It offers an optional dedicated IP if you want to access geo-restricted content. It is also more innovative for having a stealth VPN technology created with advanced firewalls. It is also impressive for providing extra security against malware and malicious ads. Torguard will never fail you when it comes to covering various devices such as MacOS, Windows, Ubuntu Linux, and of course, Android and iOS. Moreover, it can be installed on another router, or you can have one that has already this VPN on it. Just like Private Internet Access, it can be connected up to five devices at a time. The PIA will never be behind when it comes to compatibility with other devices. It also almost all native apps and platforms that can run a VPN. It can also be connected to five devices at the same. In this aspect, we cannot spot any difference. Therefore, it’s a tie. Speed is one of the most crucial features that we need to consider in a VPN service if you want to obtain a hassle-free experience. Private Internet Access handles the speed of a web connection well. 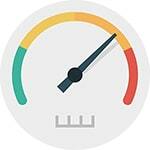 Just like other competitors out there, it is already expected that throttling occurs and this can be reduced by connecting to the nearest server. Torguard has more improved speed and performance because it does not throttle the web connection. Therefore, it loads faster without giving you any problem. Private Internet Access is a mobile-friendly VPN service that allows you to open various toggles at the same time. You should enable or disable some tools such as debugging, leak protection or kill switch before connecting to a remote server. It is highly recommended to newbies who are not tech-savvy enough to learn a lot of turnarounds when starting. Torguard offers a more advanced interface, but most of them can be hard to understand when you are a newbie. You have to learn how to use the settings before you can use them. Therefore, we recommend PIA if you hate to read technical words as a beginner. Having a VPN service is useless without keeping your data safe. We have mentioned that Private Internet Access is based in the USA, which is a bit of alarming due to the strict surveillance in this country. However, if you are aware of the policies of this VPN service, you will eventually understand that they have a secure protocol that protects the user information against trackers. It is made possible through the quality of technology they use. Moreover, PIA also provides extra functionality like ad-blocking. You also don’t have to worry if you want to accept payments via Bitcoin, and this process is made safe through the standard encryption. Torguard has a different approach to security features. It offers a wide variety of protocols, and one of the users’ favorite is the stealth VPN server technology. It allows you to access governmental and private internet VPN blocking. It will help you achieve optimum privacy. Having a wide variety of server locations allows the users of both VPN’s to have easy access to the services offered. Private Internet Access has more than 3,000 servers from about 30 countries worldwide. Take note that you cannot access Netflix and Hulu although there are servers located in this country. The Torguard, on the other hand, has 3,000 servers from over 50 countries globally. It allows you to access streaming sites without worries. With this in mind, you can benefit from the extensive coverage of Torguard. It is essential for a VPN service to have a customer service since they are offering a service in which technical difficulties may happen. So, whenever you need some support during these difficult times, you can rely on the support team for these two. Private Internet Access has a knowledge base when you want to find general information about using the service. You can also reach them via email when the answers from the knowledge base are not sufficient. With Torguard, a live chat is available. It is crucial for them to have someone answer the inquiry immediately because the settings are a pain when you are a first time user. With this in mind, you don’t have to wait for someone else to read your email in case a technical issue occurs. It is also essential to consider the cost of packages offered by the two VPNs. 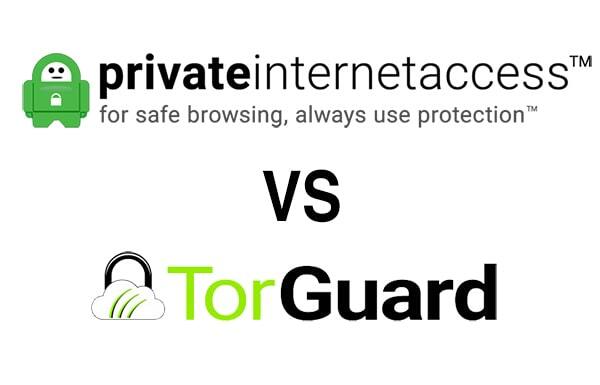 Private Internet Access provides their service for as low as $2.91 per month, while Torguard starts at $9.99. Although the latter is more expensive than the other one, we can say that you get what you pay. Considering all the features and functionality of these two VPNs, they’re just offering a fair price.